Celebrating our latest PhD success: Dr. Mohammad “Vahid” Vahidalizadehdizaj! We are delighted to share that Mohammad “Vahid” Vahidalizadehdizaj has freshly earned the title of “Dr.” following the successful defense of his PhD thesis! 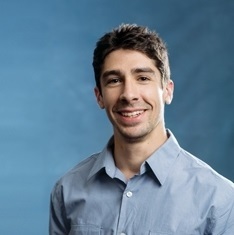 A student of the PhD in Computer Science program, Vahid chose to explore security and privacy in e-commerce over mobile phones. This is an issue that requires continuous attention, and a very worthy one of doctoral level study. Dr. Lixin Tao was the advisor for Vahid’s journey to doctorate. The committee was comprised of Dr. Charles Tappert and Dr. Mehdi Badii; Professor Avery Leider and fellow PhD candidate, Nikhil Saxena, were also present – and Professor Leider took several videos to document the moment! “It was fun watching Vahid defend and defend his thesis against all comers,” said Prof. Leider. Vahid is our second ever student to earn a PhD, joining Dr. Vinnie Monaco as one of our incredible PhD alums. The exponential growth of mobile devices makes them a suitable computing platform for electronic payment. However, there are serious challenges in e-commerce transactions, such as privacy protection, security, bandwidth limitations of mobile networks, and limited capabilities of mobile devices to handle excess or indirect computational time. The traditional e-commerce payment protocols that were originally designed to keep track of the traditional flows of data from desktop computers are vulnerable to attacks, and because they were not designed for mobile platforms, have excessive engineering overhead. In this thesis, a new private mobile payment protocol is introduced that is designed specifically for the mobile platform. 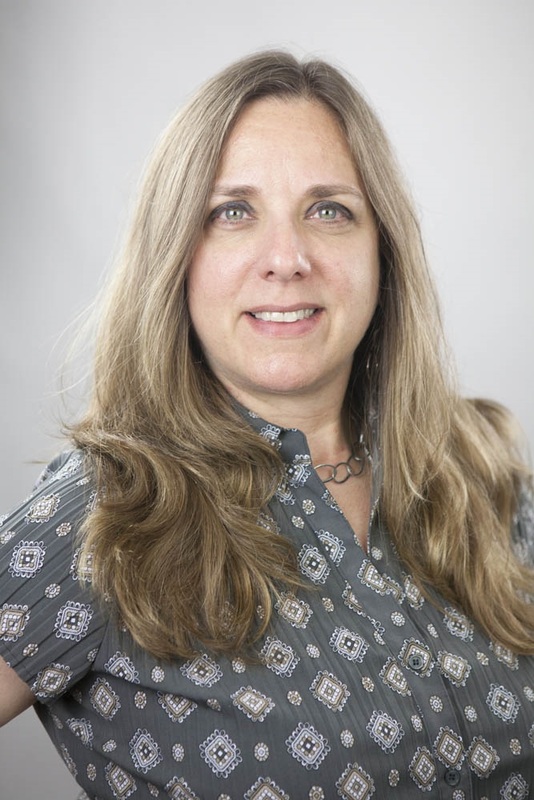 It is based on a client-centric model that utilizes symmetric key operations. The protocol reduces the computational cost (the engineering overhead) of Diffie-Hellman key agreement protocol by using the algebra of logarithms instead of the algebra of exponents. The protocol achieves proper privacy protection for the payer by involving mobile network operators and generating temporary identities. It avoids replay attacks by using random time-stamp generated numbers. Congratulations Dr. Vahid – we can’t wait to see where your new qualification takes you! 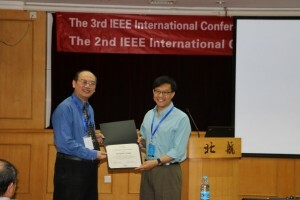 Dr. Meikang Qiu of the Seidenberg School of Computer Science and Information Systems recently organized two conferences that were held in Beijing, China. 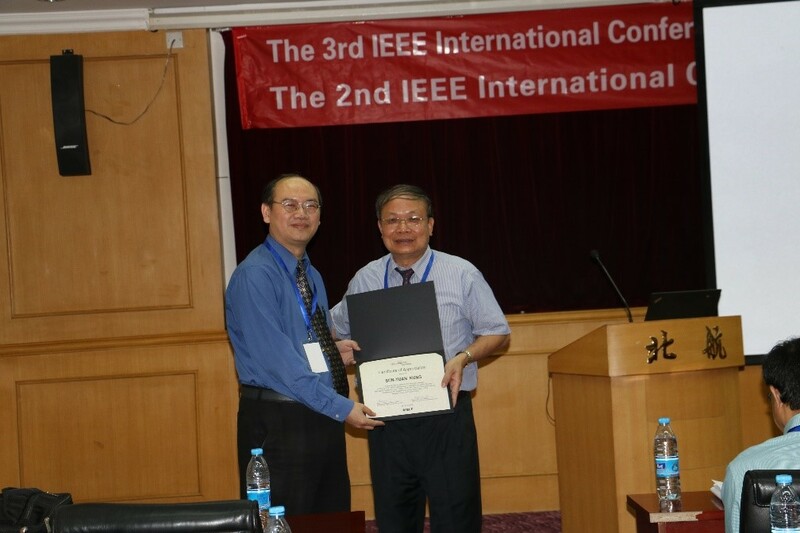 The 3rd annual IEEE International Conference on Cybersecurity and Cloud Computing and the 2nd annual IEEE International Conference of Scalable and Smart Cloud (SSC 2016) took place on June 25-27 at at Beihang University in China. This academic event is a great gathering for scholars and professionals in the fields of cybersecurity, cloud computing, and smart computing. More than 60 delegates attended from more than 10 countries. Professor Qiu served as the General Chair for both conferences, and also gave a talk entitled Proactive User-Centric Attribute-Based Semantic Access Control for a Mobile Cloud. Dr. Lixin Tao, the Chair of the Computer Science Department (PLV) also attended the conference. Seidenberg faculty and PhD and DPS students at Seidenberg presented their recent research work, including 14 conference papers. World famous professors Sun-Yuan Kung (Princeton University, IEEE Fellow) and Xiaodong Zhang (Ohio State University, IEEE/ACM Fellow) also exciting keynotes on Cloud Computing and Big Data. Pace University was a major sponsor of the conference – and we are already looking forward to next year! John “Vinnie” Monaco recently made an achievement that is a milestone in Seidenberg School history: he successfully defended his PhD dissertation and became the school’s first ever Doctor of Philosophy in Computer Science! We are absolutely delighted with Vinnie’s success and can’t wait to see where his new qualification takes him. 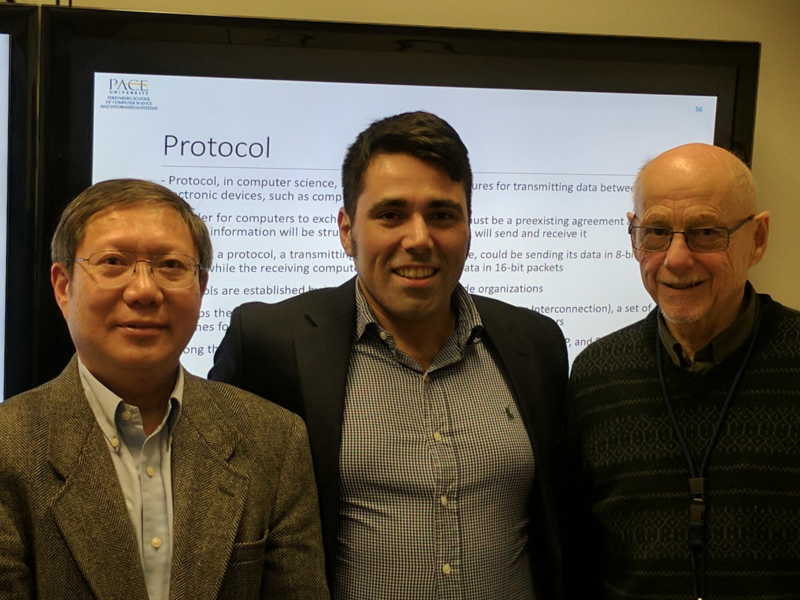 Vinnie’s defense was overseen by his dissertation committee (pictured, from left to right, Dr. Lixin Tao, Dr. Vinnie Monaco, Dr. Charles Tappert, and Dr. Meikang Qui). Congratulations to Dr. Monaco on his enormous achievement!